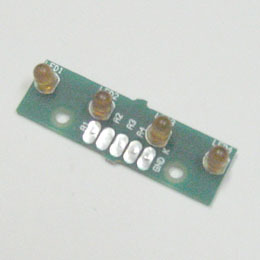 Small PC board with four opto emitter elements. Used to detect ball hits on the bookcase. Mounts in top of bookcase frame.